Fill a large soup or stock pot 2/3 full of water, and boil. You can add salt to the water, but it's not absolutely necessary. Wash greens and cut or peel away the woody stems. With a wooden spoon, push the greens into the boiling water and boil them for about 30 seconds. Remove from the boiling water and place them in a colander under cold running water, or in a bowl of ice water until the greens are cold to touch. Squeeze the excess water from the greens and place them loosely in a freezer-proof bag or container. Separating the leaves somewhat and packing them loosely will allow you to take frozen portions from the container more easily. 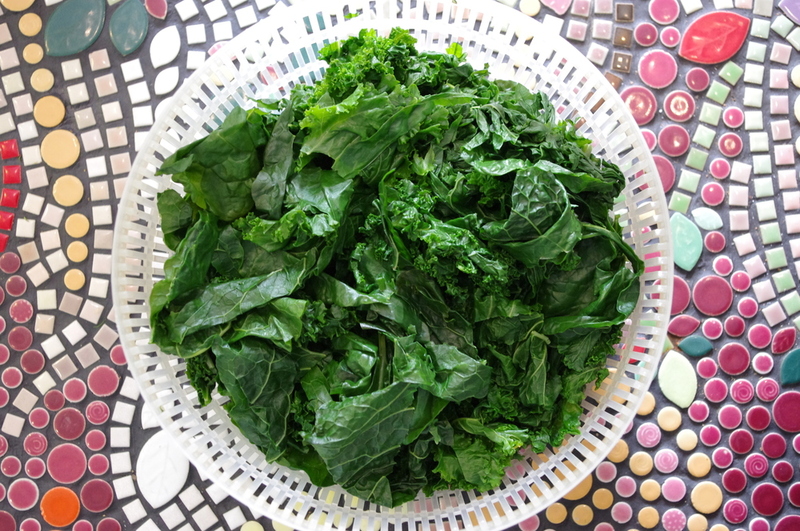 Blanching and freezing is great for many vegetables, but this method is great for kale, collards, chard, and greens from beets, kohlrabi, and turnips. For most chicken soups, I prefer to make them the day after I have made a whole roast chicken. I use the bones to make homemade broth, and the leftover meat goes in the soup. If I have any leftover gravy it goes in the soup as well. No-waste cooking is great for the budget, and in this case, is the secret to getting the most flavor into your bowl. If you want to make a vegetarian version, or have not roasted a chicken lately, just remember to start with a good quality stock and make sure to roast the vegetables long enough to bring out the rich caramelized sugars. When using homemade stock or gravy in this soup, remember to skim the fats from the broth or drippings as much as possible in order to keep the soup from being too heavy. Method: Preheat your oven to 375 degrees. Place the chopped kohlrabi, sweet peppers and carrots in a baking dish. Toss with a little oil and season with sea salt. Bake for about 45 minutes, or until the vegetables begin to brown on the tips. While the vegetables are baking, saute the chopped celery, onion and garlic with a little oil in a large stock pot. When they are tender, add the paprika, cumin, white pepper, 6 cups of broth, roasted kohlrabi, sweet peppers and carrots. Stir to combine, then remove from heat. Puree with an immersion blender. Add the bay leaves and lemon juice. Season with salt and black pepper to taste. Simmer for about 30 minutes. Add the chopped greens, beans and chicken. Simmer until the greens are tender. 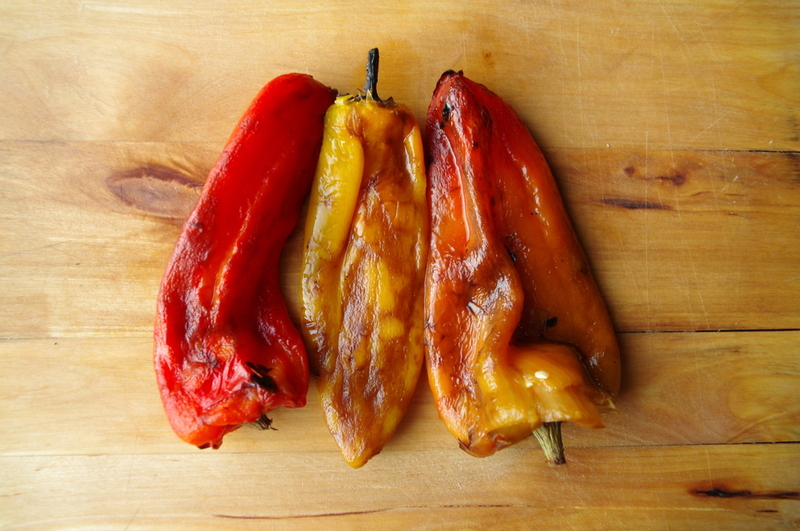 Serve with ripe diced tomatoes and your favorite hot sauce.